The 2007 Groves Conference on Marriage and Family in Detroit offered family scholars and practitioners an opportunity to focus on the social, economic, and environmental issues facing families. Despite the many injustices plaguing families in Detroit and the larger world, explicit attention to social justice issues in the family field is rare. This edited volume highlights the scholarly and applied work presented at the conference by Groves members, many of whom are accomplished activists themselves. 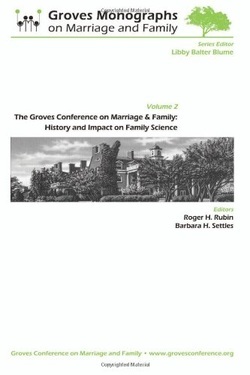 Groves Conference on Marriage and Family: History & Impact on Family Science offers family scholars and practitioners a detailed history of the Groves Conference from its origin in 1934 to the present day. Founded by Ernest R. Groves as a cutting-edge organization for understanding families, its history portrays a time of social transformation and the press for equity in such areas as race, ethnicity, gender, and social and geographic mobility as the conferences addressed unchallenged assumptions in the field of family science. The Groves Conference on Marriage and Family continues to meet each year across the United States and internationally to explore how families can be resilient in the face of changes that will affect their daily lives—now and in the future. 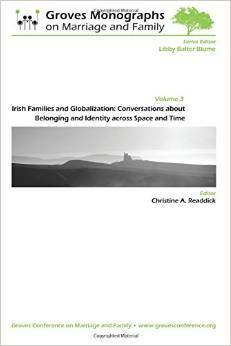 environmental factors facing families in Ireland and the global Irish diaspora. Groves Monographs on Marriage and Family, an edited book series based on the annual meetings of the Groves Conference on Marriage and Family, publishes work on the leading edges of theory development and empirical research in the field of family studies. The 2013 Groves Conference examined the interface between families and the criminal justice system and other relevant issues pertaining to the police, courts, and corrections. 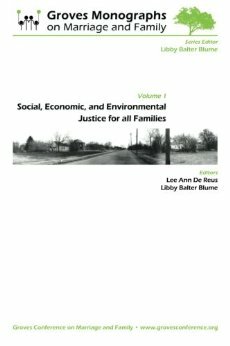 And Justice for All: Families and the Criminal Justice System reflects the Groves focus on social justice inquiry in the context of unprecedented growth in prison populations in recent decades.